Donbas sees continued attacks by separatist forces on Ukrainian troops. The Russia-backed separatists attacked Ukrainian army positions in eastern Ukraine 23 times in the past 24 hours. They employed banned weapons eleven times. "The illegal armed groups were active in the Donetsk and Mariupol sectors. The invaders fired 120mm mortars on our fortified positions near the town of Avdiyivka and Butivka coal mine. They also used 82mm mortars to shell areas near the villages of Leninske, Opytne, Shyrokyne, Mayorsk, Berdianske and the town of Maryinka," the press center of the Anti-Terrorist Operation (ATO) said in a release. 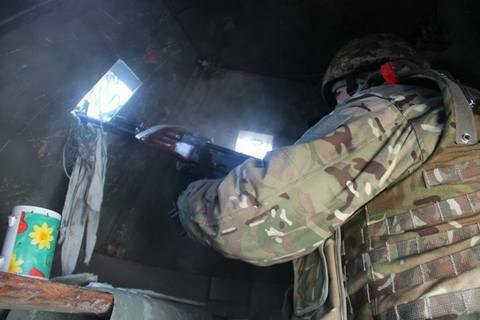 The highest number of militant attacks on Ukrainian troops was in the direction of Maryinka, where, in addition to mortars, the militants fired heavy machine guns, rocket-propelled grenades and small arms. "On nine occasions, the Ukrainian military opened retaliatory fire to prevent the approaching of militants at a dangerous distance from the villages of Sakhanka, Trudivske and Bezimenne," the ATO press center said.